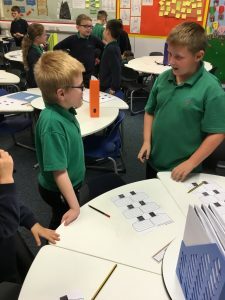 Year 4 Mozart – Getting into character! In English we have started working on the video ‘The Dragon Slayer’. 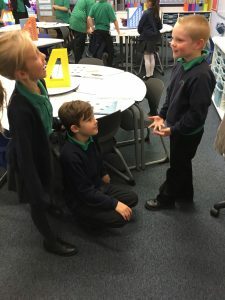 The first part of the video doesn’t have any speech so we used role play to help us get into character and think about what the characters might have said to each other. At the beginning of the video we see a mighty dragon slayer riding on his horse in the poring rain. On his way, he passes a blacksmith and his son who are working hard and spot the dragon slayer. We got into these characters and discussed what conversation they might have had. 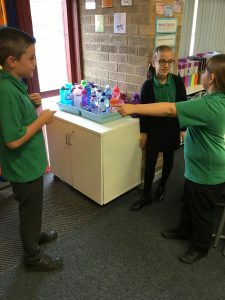 Have a look at some of the pictures below to see what we’ve been getting up to.